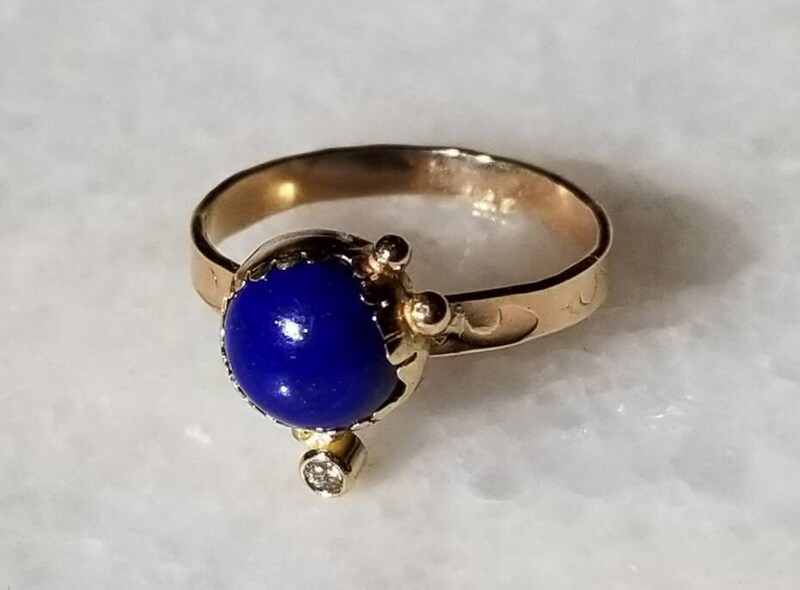 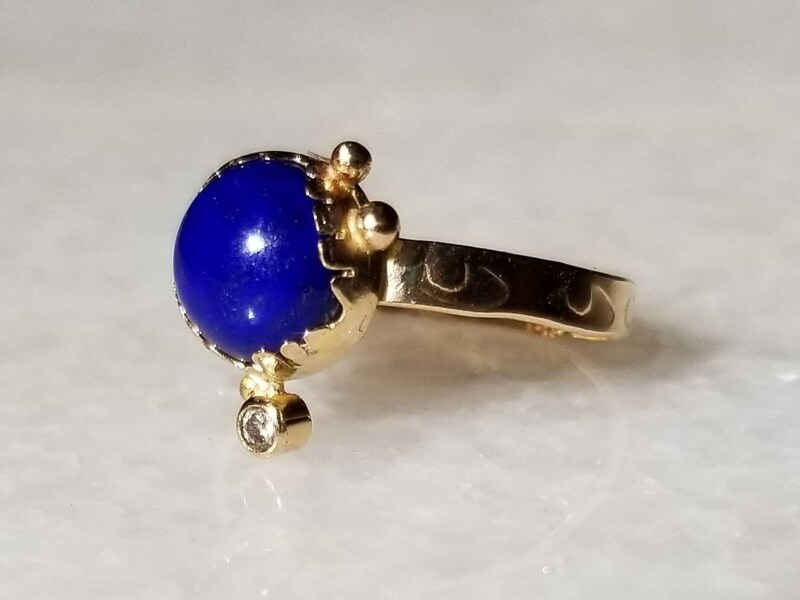 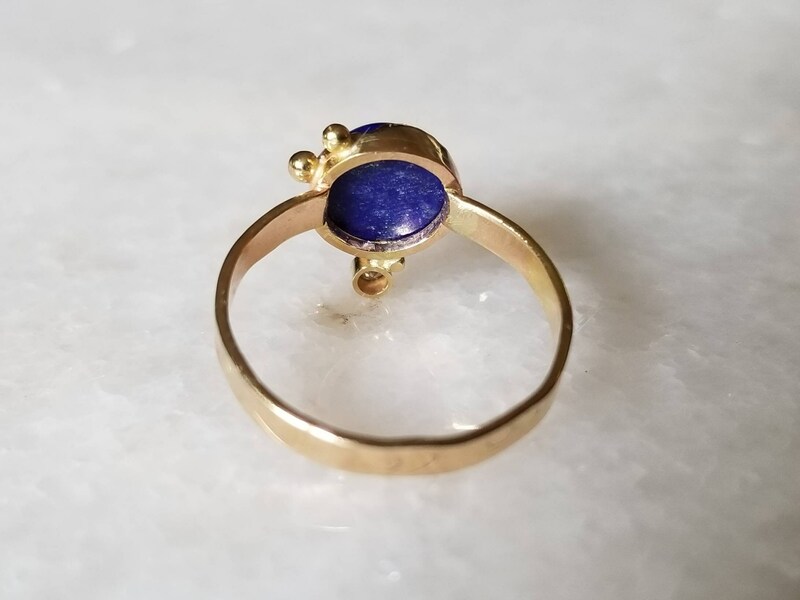 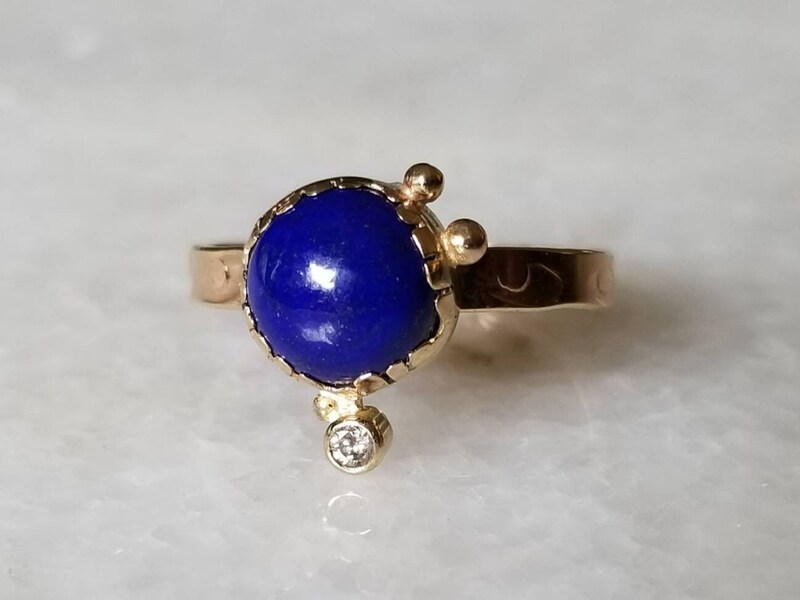 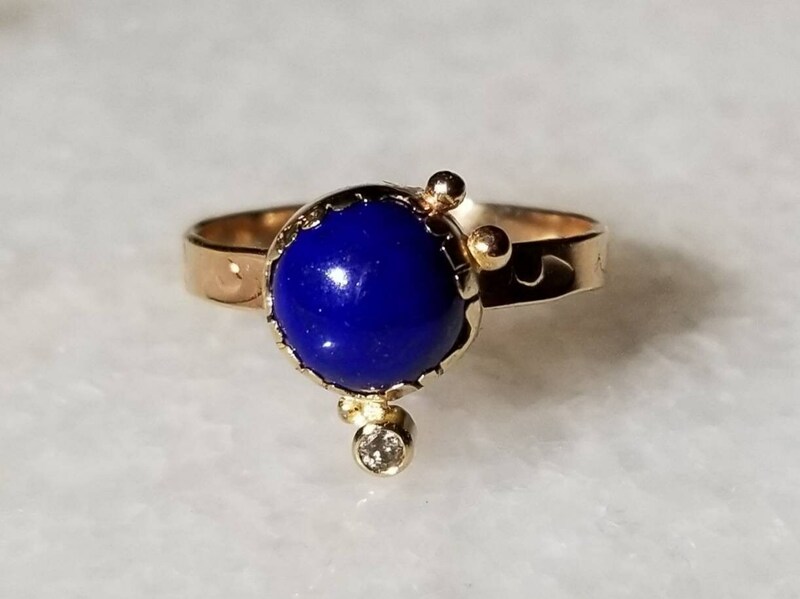 The combination of the deep rich blue of the lapis lazuli and warmth of yellow gold is reminiscent of ancient Egyptian jewelry. 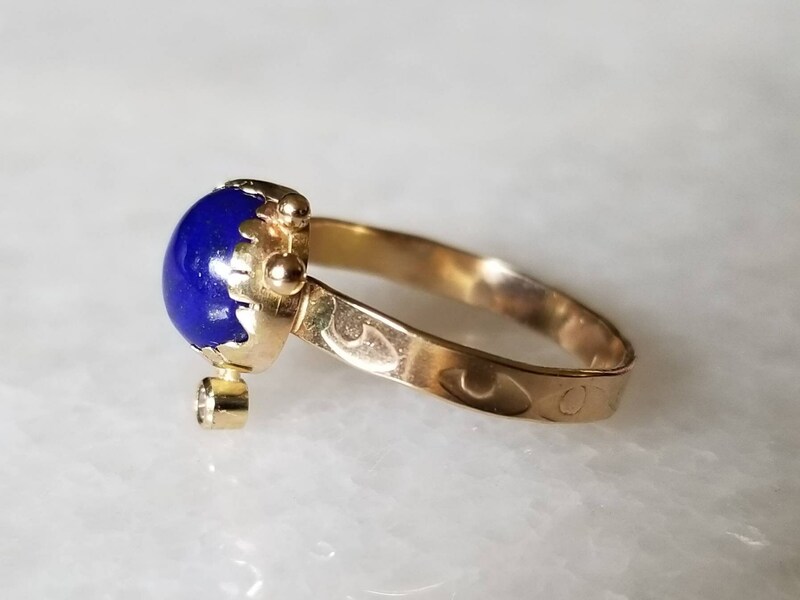 I created this ring to be a talisman of protection. 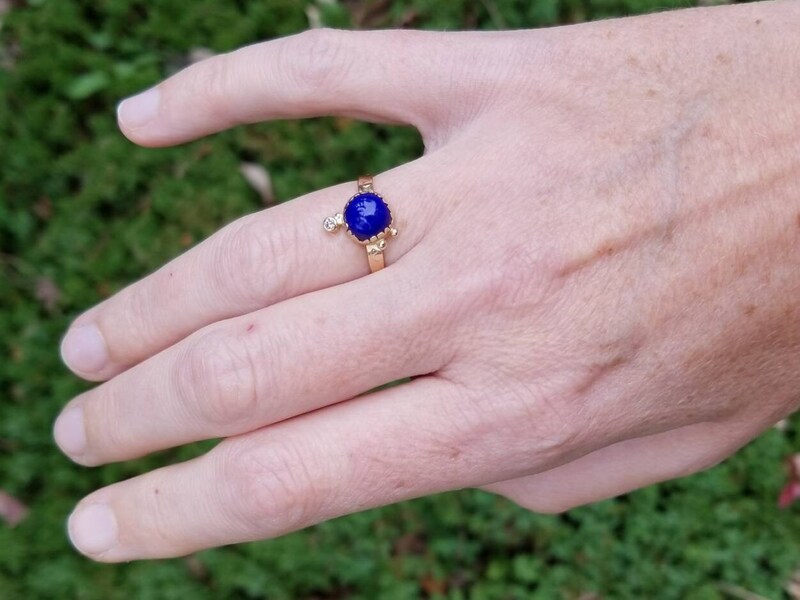 The band is adorned with an eye motif and the stone is set in a unique bezel. 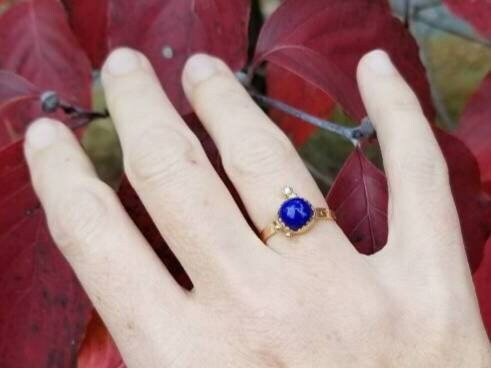 I paired the 8mm lapis lazuli and with a sparkly 2mm diamond. 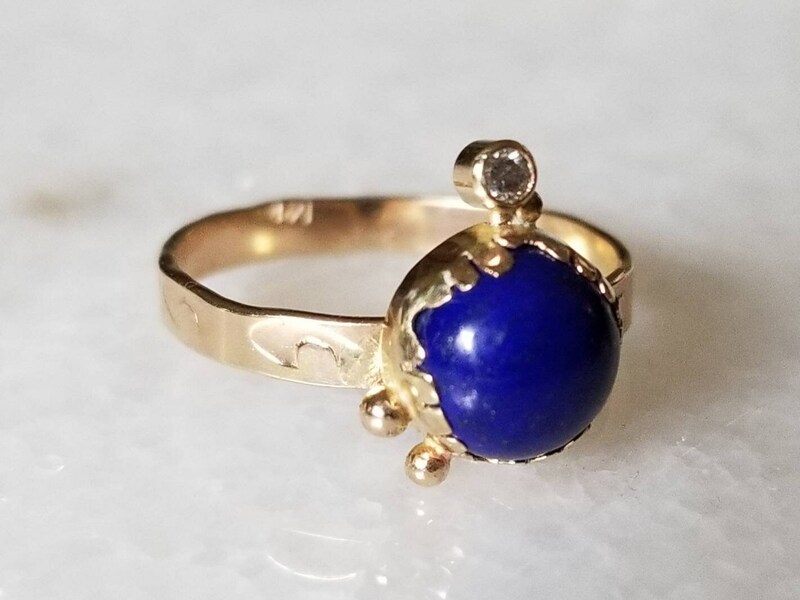 This ring is one of a kind, size 7.